Ah, to start from scratch. Just move to an exotic country, start a new life, and launch your new career… simple, right? You don’t know anyone there. You already have a good job in your home country. Yes, there are a million reasons why most of us think about making the move and then decide against it, but today we’ll hear from someone who took the leap of faith. Our Canadian interviewee decided, after university and a brief stint in a VC-backed company, to leave everything behind for an internship at an NGO (non-governmental organization) in Bolivia. That would already be impressive, but then he took another leap when he managed to network his way into private equity and then stayed in Latin America for another 8 years (!). Oh, and I mentioned that he didn’t speak a word of Spanish when he first stepped off the plane, right? The best path to follow to break in, both as a local and as a foreigner, including the application and interview process. How expats fare in the PE industry in Latin America – The pros and cons. The key assets firms look for and the importance of connections. Money – How much you’ll earn and how much you’ll spend. The work culture – Both on and off-the-job. 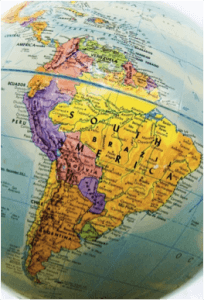 The PE scene in Latin America – Past, present and future. Q: Let’s get started! Can you first walk us through your background and how you ended up in Latin America? A: First, I have to warn you that I have a very atypical background and that I have not followed a well- trodden path, but I’ll do my best to help out! I completed a Bachelor of Commerce in Canada and took part in an international exchange program in Europe and Africa. I first worked in a portfolio company of a venture capital firm in Canada, but it wasn’t exactly what I was looking for so I decided to give international work a chance instead. So about 10 years ago, I first left for Latin America to complete an internship at an NGO (non-government organization) focused on small businesses. While completing the internship, I eventually came across a PE fund specializing in growth capital for SMEs (small and mid-sized enterprises) with operations in Latin America and Eastern Europe. I realized this was exactly what I was looking for so I started networking with people working there and landed a job after 6 months of intense networking. Q: Very impressive! You mentioned earlier that you ended up working in Latin America in various countries. Can you talk a bit about the countries in which you’ve worked and the positions you’ve held? A: Sure. I worked for about 8 years with the same PE firm in Bolivia, Peru and Colombia, in positions of increasing responsibility. I started as an investment officer in Bolivia, which is the equivalent of an associate, and was involved in various stages of the investment process from sourcing to exit. I then moved to Peru for a short period of time to set up a brand-new fund and eventually moved back to Bolivia, this time as a Post-Investment Manager. I was then responsible for managing the portfolio (basically everything that comes after the initial investment) and therefore focused more on strategy and value creation. Afterwards, I went to Colombia for a few years to set up a new office and was involved in most steps of the process, including logistics, hiring new employees, raising & structuring the fund and, eventually, investments. I now work for a Canadian institution as a Portfolio Manager for a PE fund of funds program where I’m mainly responsible for investments in emerging markets. Q: You mentioned that there were many foreigners working at your firm at first, but fewer later on. Are there many expats working at PE firms in Latin America today, and is it hard to break in as a foreigner? A: There are pros and cons to being a foreigner in Latin America, but generally there is a degree of bias against foreigners. In the late 1990s, most of the PE firms investing Latin American were foreign (based in New York) and were staffed mostly by foreigners, but most of them, for a variety of reasons, did not perform very well. Now there is a new wave taking place in Latin America and private equity is much more local than it used to be. By that, I mean that firms are based in Latin America and are staffed with locals more than expats. So yes, it’s tougher than before to break in for foreigners – and it would be difficult to replicate my story now that PE has become more local. Q: I’m also quite surprised because you mentioned in the beginning that you didn’t even speak Spanish at first – how did you manage to get a job there at all? Even if it was easier for foreigners back then, they still must have required some language ability, right? A: Language proficiency, especially nowadays, is very important but there are always exceptions! During the first 4 years, most of the office was made up of expats and we would use mostly English, but we progressively switched to Spanish and for the following 4 years, we used mainly Spanish. It took me about 2 years to pick up the language. I felt quite nervous working and doing business in Spanish for the first 3 years, but felt very comfortable after approximately 5 years. I have to say it’s much easier to develop relationships in Spanish. Q: I’m pretty impressed: you didn’t speak Spanish and had no prior experience in PE, but managed to break in anyway… I guess that’s what networking does for you. A: Yeah, pretty much. It took around 6 months to build the relationships needed to move from the NGO to the PE firm, but it definitely paid off. Q: I think pretty much everyone reading understands by now that your case was exceptional, but what advice would you give to readers – either locals or foreigners – looking to break into private equity in Latin America? A: The first thing you need to know is that private equity in Latin America is a relationship-based and elitist industry, so you need to live there and you need to focus on networking. Top schools are highly valued, especially international ones. It may also be possible to land offers at some firms through campus recruitment; sometimes people at top US or European schools can apply for the Latin American division of international PE firms. If you have no connections to the region currently, start out at a local PE firm (or other company) in your own country with operations in Latin America and think about switching over in the future. Whatever you do, a good knowledge of Spanish is highly recommended and related work experience (deals, deals, deals) is essential. Q: We’ve seen before that in some emerging markets, the CFA is highly valued – what about in Latin America? And how valuable is the MBA? A: It’s not as well-known or acknowledged; even in Brazil, the country that attracts the most PE investment, there aren’t many CFA charterholders compared to similarly-sized countries elsewhere. That may change in the future, though. An MBA from a top school is very important and an MBA obtained abroad is even better. If you think people care about prestige a lot in the US, Europe, or Asia, well, you’ve never been to Latin America. Q: Right, it seems like “credibility indicators” are even more important in early-stage markets. Any notable differences on resumes/CVs, or in private equity interviews? A: Resumes / CVs – nope. They’re actually not very important in Latin America, and networking trumps resumes even more so than in other regions. Sometimes they’re a bit longer than what you see in North America, but you can still use the same format. The interview process depends a bit on the firm; I was at a small shop so it was less formal than it might be elsewhere – entry-level positions were mostly a combination of fit and technical, but mostly fit. Relationships are key, and that holds true in pretty much any firm there! One of my favorite questions to ask was: What is the appropriate WACC for a small company in Colombia? I was not interested in the specific answer as much as in the candidate’s perspective and approach. So we looked at how they reasoned their way throughout and how they modified the WACC calculation to take into account country-specific risk factors. If someone just gave the standard textbook answer for WACC, that would have reflected poorly on them because it meant they weren’t thinking much about the region. Also, while PE now is quite a big industry in Brazil and is better-known in Latin America than in the past, it’s still not as well-known as in North America or Europe. So you need to have a good knowledge of the PE industry for interviews. I would often ask candidates what they knew about private equity, what you do in PE, how it’s different from related fields, and how funds are structured and you’d be surprised how many people couldn’t even explain basic concepts. Q: Overall, how was your role in Latin America different from what you would do in PE in a developed country? And what were the advantages and disadvantages of being a foreigner there? A: We spent a lot of time educating companies on basic finance and explaining what PE firms do and how they can add value; there were also a lot of incredible growth stories because all industries were growing so quickly. In developed countries you don’t see any of those as much because executives at most sizable companies understand (some) finance and are familiar with investment firms. There are definitely some advantages to being an expat. One of them is that people tend to have a certain respect for foreigners. For example, most business people in Latin America have a receptionist and very often when I made business calls to contact interesting companies, for example, I was able to bypass the receptionist simply because I was a foreigner. That said, people tend to consider Latin America as one big entity, but there are several differences between Latin American countries. In Bolivia and Peru, for example, there is a lot of respect for foreigners, but not as much in Colombia. The main disadvantage of being a foreigner is the lack of contacts and little knowledge of the local environment; you’re competing against well-educated and well-connected people who have both of those. Q: So what was the most challenging aspect of your job in Latin America? A: The most significant challenge, by far, was to “become a local” and to develop a local knowledge of the environment. And it’s not just a matter of speaking the local language – you also need to pick up nuances and understand the culture. Plus, you need to understand not only the economic environment, but also the legal and political environment and the taxation system. If you have no knowledge of the local markets – for example, if you don’t even know key players in the major industries – it will be very tough to be taken seriously by anyone. Q: Can you talk about the salaries in Latin America for the PE industry – not exact numbers necessarily, but rather the general picture? A: In terms of salaries, you will probably make less than in Canada or the US as a junior, because most funds are smaller and denominated in USD. Since the management fees and salaries are generally paid in USD, you also face a forex risk if the local currency appreciates against the US dollar. Overall, you will probably make less than in North America at the entry-level but as a Partner you would likely make just as much in absolute dollar terms. Q: Right, but doesn’t the lower cost of living balance that out? A: Sort of, but not as much as people claim. One thing to keep in mind is that there are very marked differences between classes. In Canada or the United States, you can live a middle-class life. But in Latin America, although a middle-class is progressively emerging, there are generally two classes: low or high. If you’re part of the “high class”, which is the case if you work in private equity, then everything is quite expensive, although still less expensive than North America. For example, school for your children is expensive because there are only the “top schools” or the ones for people in the “low class”, with very few options in between. Also, consumer credit is hard to access, which limits your purchasing power unless you happen to be sitting on large cash reserves! Mortgages are very expensive and require a large down payment. At the time when I was looking for a house (a few years ago), mortgages were at about 14% interest and required a 30% down payment. Cars are also more expensive than in Canada or the US, but eating out and domestic help are cheaper. You’ll definitely have a comfortable life as a junior or senior in PE in Latin America, but you may not exactly be living in a golden palace. Q: I see… thanks for clarifying. What about the work hours and culture? Is it very different from North America? A: It depends on the firm, but from what I’ve seen private equity professionals in Latin America tend to have very long hours. There is a widespread stereotype that people in Latin America “don’t work as hard” as in North America. I would have to disagree and say that people in Latin America actually have a very hard-working culture. In Latin America, you just won’t have a decent life if you don’t study/work hard. The work culture, once again, depends on the firm but in general, Latin American firms are more hierarchical and seniority plays a more important role. Also, everything is very relationship-oriented and so you spend more time with colleagues outside of work. While that’s common with junior-level colleagues at investment banks in developed countries, you don’t see it quite as much in private equity since people tend to be older and more into their own lives. Q: So what are the exit opportunities after working in PE in Latin America? A: In the past, a very common path was to do an MBA in the US first and then to work on Wall Street for around 10 years to build up an international resume, and then to move back to Latin American to start a PE fund eventually. If you start there as an analyst nowadays, you could definitely work in Latin America for a few years and then move onto another area of finance if you wished to do so. In the early 2000’s many people wanted to leave Latin America, but now there are a lot of opportunities there so I would advise interested financiers to stay. Q: How would you say the PE scene has changed in Latin America since the early 2000’s? A: The private equity industry has developed a lot and has become much more local. Most funds no longer operate from New York or Miami, but instead have offices in Latin America. MDs used to be Americans and English used to be spoken in the office, but this is now much less common. Q: And what’s your outlook on private equity in Latin America for the next 10 years? A: I am bullish on Latin America. A lot of PE funds are being raised and firms are expanding rapidly. There were 2 PE firms in Colombia when I started, compared to a much higher number today. While some firms will inevitably go away, more firms are likely to be founded, although the growth rate might not be as high as what we’ve seen in the last decade. Employment-wise, I would say that a Canadian or an American would have fewer opportunities in the Latin American PE market than a Colombian, for example. Q: So which Latin American countries hold the most potential for PE investments? A: In my opinion, Brazil would be the most important one, followed by Mexico and Colombia. Peru could also be promising and I would place a contrarian bet on Argentina. Q: Why are you so optimistic about Argentina? A: Argentina is currently politically challenged and while it was the world’s 7th largest economy in the early 20th century, it has since been severely mismanaged. But it’s a resource-rich country with low valuations, so I believe there’s a lot of upside potential if the economy can be managed properly; asset values could rise very quickly if the right policy decisions are made. Q: And which sectors do you believe are the most attractive in Latin America (for private equity)? A: Definitely the energy & natural resource industries (mining, energy, oil & gas) given that several Latin American economies are resource-based. Also, the financial services industry because consumer demand is quickly growing in Latin America and is expected to continue increasing. Q: Thank you so much for your time – really interesting interview. A: It was my pleasure. I enjoyed our discussion. The Financial Globe-Trotter started investing at age 11, after drawing inspiration from It's a Wonderful Life. She's from Canada and has worked in investment banking and private equity around the world. Great article with very interesting insights. Would it be possible to get in touch with the author? This article was written years ago by a guest writer who’s no longer active on this site and who I haven’t been in touch with for years, so I can ask… but no guarantees. I don’t even know who the interviewee is since I did not conduct this interview. I’m travelling to Chile, Peru, Bolivia and Argentina in a week for nearly three months before I start as an analyst. Would it be possible to set up a meeting with the interviewee when I’m travelling through Bolivia? It would be great to hear more from her on PE life in Latin America. Of course I understand if this isn’t possible due to her busy schedule and other commitments. Just wondering at what University in Europe ‘The Financial Glob-trotter’ is studying? I’m a Canadian also doing my Masters in Europe, and I haven’t met any others doing the same before! Thanks for the article, some great stuff right there! Have been wondering lately how to get myself to Latin America, I’ve worked for a year in Spain and loved it and I’ve heard great stuff from my Latin American colleagues about Argentina and Brazil, and life there seems to be good! Can I possibly ask if anyone knows any helpful sites where I can find any Grad schemes for international students? (do companies take international students at all in banking (just wondering)? For those interested, check out http://www.lavca.org, the industry body for PE/VC in Latin America. In particular the news feed, given some decent updates on fund raisings and investments in the region as well as a list of member firms. Argentinians are the most beautiful in LatAm, no one can beat that!! Want bottles? Argentina has the finest Malbec wine. Pair that with asado and tango, and you have the best from any emerging market. As I live and work in Colombia I laughed throughout this article given that it’s all so true! Glad to hear it! Will pass along your comments to the interviewer. Tell me the women are awesome; better than North A.? Hah, thanks for confirming that. Really? I heard the girls in Rio are gorgeous! You must not have partaken much of bottles from Latin America. I’d rather join up with a circus as a fire eater.